Pam Cunningham is a respected master weaver, a member of the Penobscot Nation. 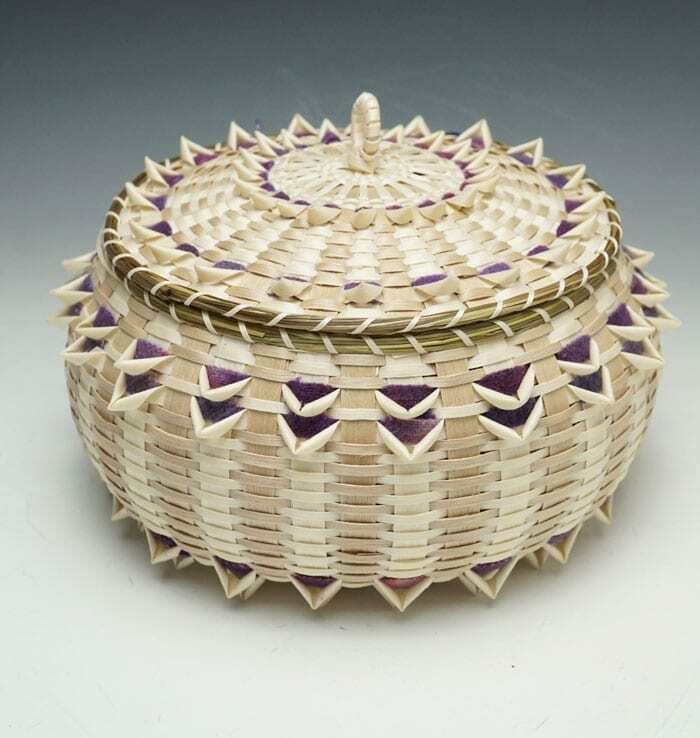 This point basket includes strips of purple wool among the ash. 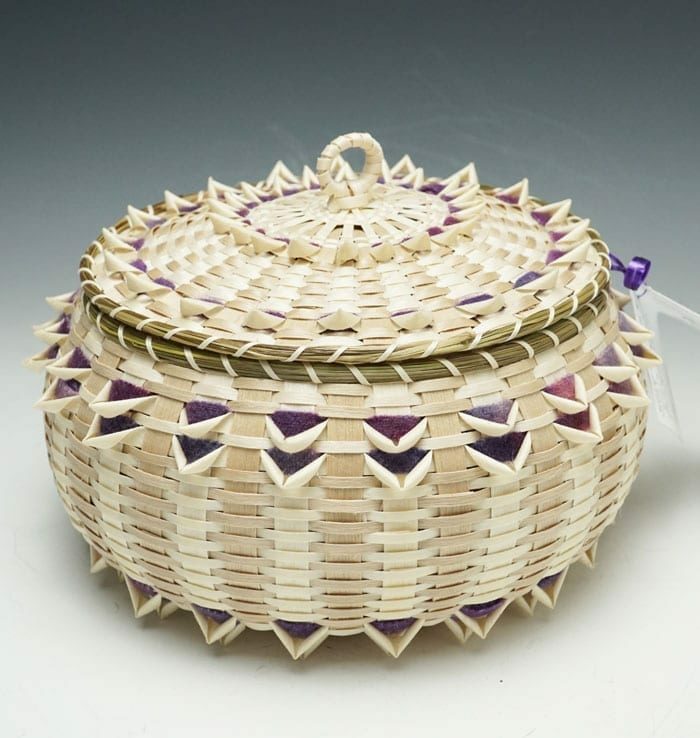 This new material for Wabanaki baskets is one indication of the search for materials to replace brown ash, which is in peril because of the emerald ash borer beetle. 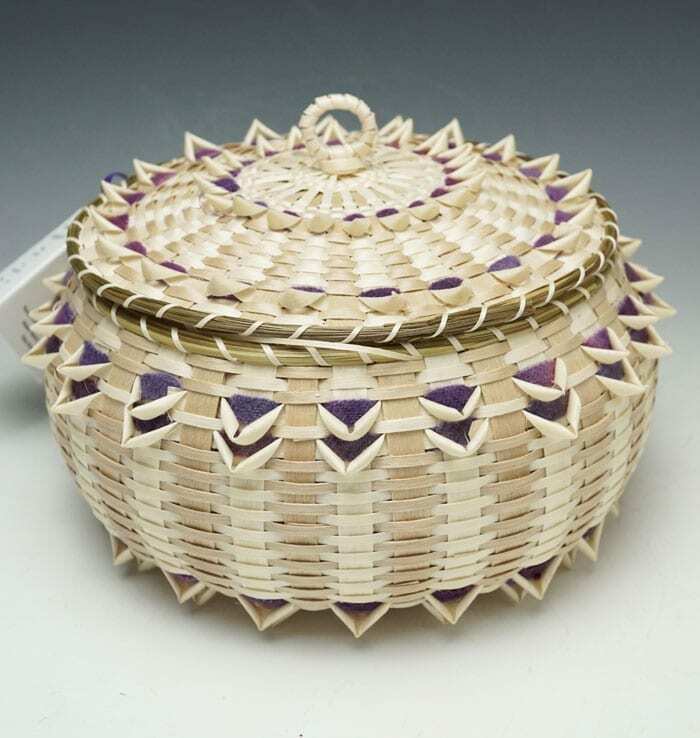 The purple wool adds a dash of color to a basket that includes both heart wood (darker wood in the vertical standards) and sap wood (lighter wood in the horizontal weavers). 7 inch diameter x 5 1/2 inches to top of finial. An aromatic miniature basket, woven from sweetgrass and ash. 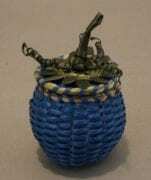 This basket is a collaboration between Pam and her son Jacob. The basket you receive may vary slightly from the pictures. 2 1/2" diameter x 3/4"